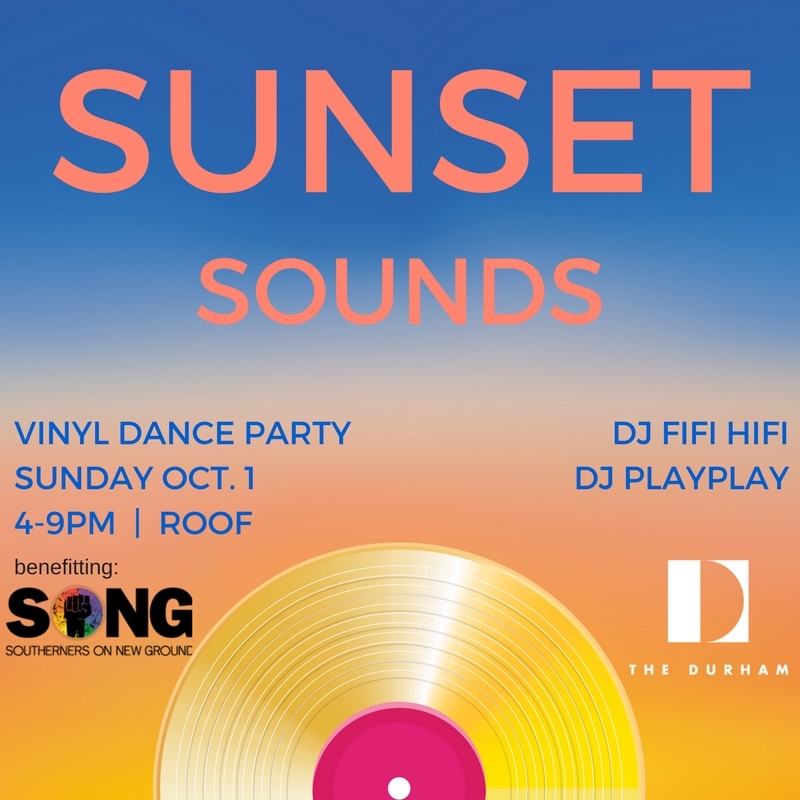 Sunday, 4-9pm: DJs FiFi Hifi & PlayPlay kick off Sunset Sounds, a dance party series on the roof. This week, it’s vinyl sets celebrating LGBTQIA musicians across the decades – think Bowie, Big Freedia, George Michael, Junior Vasquez, Sylvester, Mykki Blanco + cocktails, snacks, and sunset views. Proceeds from this week’s Super Sunday cocktail will be donated to SONG. Southerners On New Ground (SONG) is a regional Queer Liberation organization made up of people of color, immigrants, undocumented people, people with disabilities, working class and rural and small town, LGBTQ people in the South. More information here.